Sport & Cycle is the place to get on top of the game! We have sports equipment from the top brands in the industry, as well as the training gear and accessories to get you or your team in top condition. 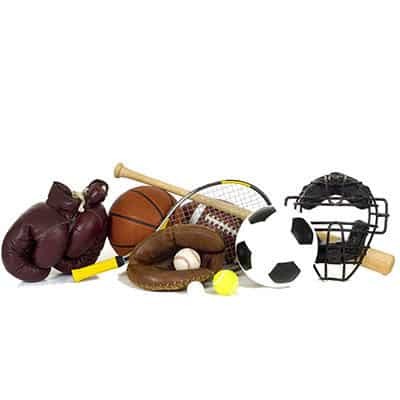 From baseball bats, and protective gear to footballs, we have what you need for the big game or race, or to just get out and have fun! Our gear isn’t limited to baseball, hockey, football, and soccer—whatever sport you play, whether it’s a team sport or a solo endeavor, we have the gear. In addition to the equipment, we can outfit your team with uniforms and sports apparel from the top names in athletic clothing, as well as provide custom embroidery and screen printing services. We also have a wide selection of footwear, including cleats, boots, and athletic shoes for all different types of sports. Visit our Clothing and Footwear areas to see what we carry.